I LOVE hummus. Love love love. 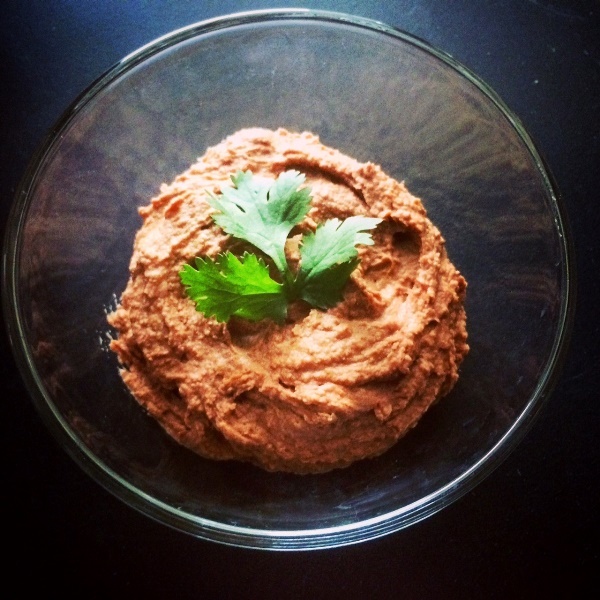 So it only makes sense that I create hummus out of every bean that is available to me. This week I have been going crazy with kidney beans, reading up on the amazing health benefits and trying to incorporate more of them into my diet. 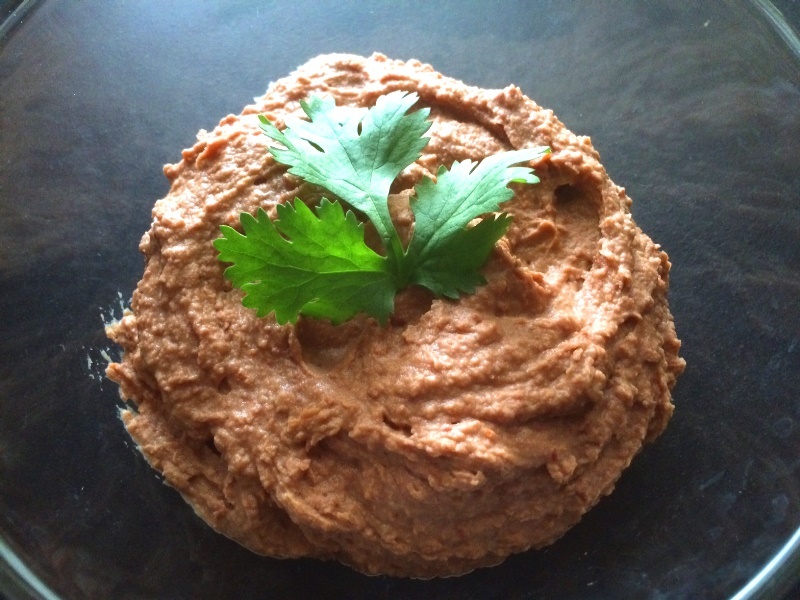 I came up a great hummus recipe, but unlike my usual fat-free hummus recipes where I DO NOT use any form of oil or nut butter, I did have to add oil to this recipe. This is because kidney beans have a more chalky, dry substance when cooked, which made for a not so creamy concoction. With the addition of oil, I was able to blend it much better, thereby getting a far more creamy consistency! Put all the ingredients into your high powered blender, and blend on high, stopping periodically the push the mixture around and down the sides to make sure everything is fully blended. If you have a hard time blending, try adding some of the juice from the cooked beans to the mixture. Once it is done, you can serve immediately, or chill in the fridge for a couple hours, then take it out and eat! “Cheezy” Baked Potato Chip Tacos!